Elsie Communications – Your Communications Provider of Choice! 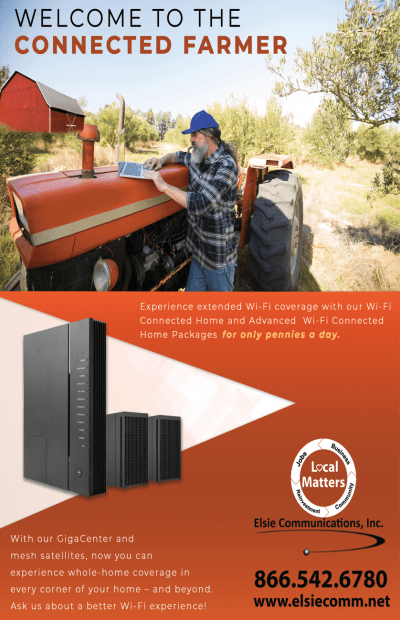 Elsie Communications is your full service technology provider that keeps you connected. We’re honored to be your provider of choice! Call us at 866.542.6780 or click on the New Service or Upgrade Service buttons to fill out the forms. Elsie Communications provides advanced communication services, including Internet and phone, in Elsie, Nebraska (Perkins County). Elsie Communications and its affiliates comply with Sections 255, 716, and 718 of the Communications Act regarding individuals with disabilities. Please contact our office for more information.